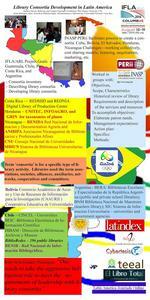 MARVIN, Stephen (2016) Library Consortia Developmnet in Latin America. Paper presented at: IFLA WLIC 2016 – Columbus, OH – Connections. Collaboration. Community in Session 101 - Poster Sessions. 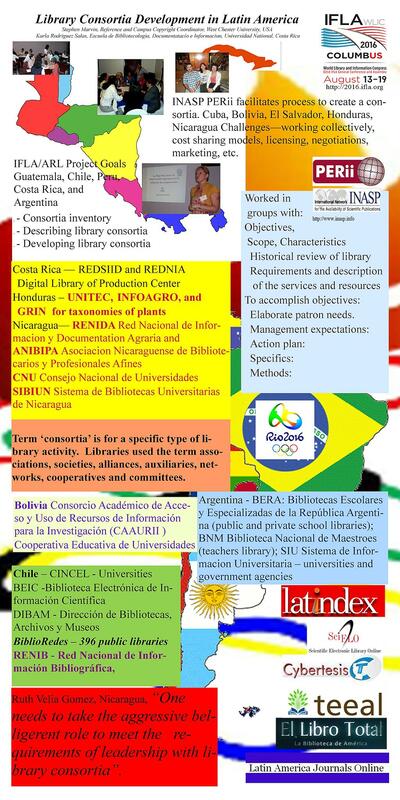 International organizations assisting with library consortia development in Latin America and the results and benefits are described. Activities were supported by IFLA, and INASP as well as shared resources from ICOLC. Examples include Bolivia, Ecuador, Honduras, Nicaragua, Costa Rica and El Salvador.